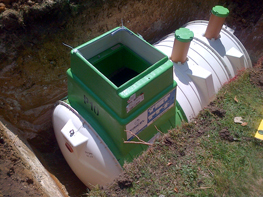 Infinity Environmental are specialists in septic tanks or sewage treatment plant solutions for property that is not served by mains drainage. Our main objective is to offer off mains drainage systems for domestic or commercial installations; either septic tanks, package sewage treatment plants, new soakaways, cesspools, pump stations, or rainwater harvesting systems. If your septic tank is failing a simple repair might be necessary to fix ongoing septic tank problem. If this is not the case we offer new soakaway or replacement systems. With our experience and knowledge of the local areas we cover you can be reassured our installation team will offer first class service. Modern treatment systems would need routine maintenance, emptying, and servicing for up keep of your package sewage treatment plant. 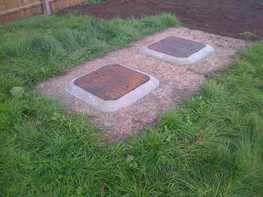 Septic tanks can be known as traditional solution for domestic property and commercial premises without access to mains drainage. Most commonly made from two individual chambers to divide the solids from the liquids. The primary chamber prevents solids passing over to the secondary chamber before entering the drainage field known as a Soakaway. Traditional building methods can be brick construction or modern day septic tanks made from GRP or polyethylene. We only install the latest type of septic tanks being more suitable for installation and comply to the latest EN12566-Part 1 standard for septic tanks. Why Choose Infinity Environmental ? 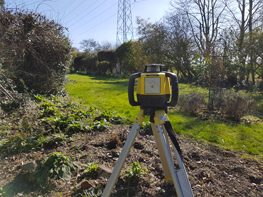 With more than decade of experience in off mains drainage, we are one of East Anglia’s leading wastewater and drainage solution specialists. From simple repair to complete new package sewage treatment plant installation our design service is bespoke to your project requirements. 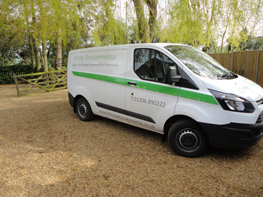 Infinity Environmental are independent company in off mains drainage for repair, supply, installation, commissioning for households and business across Essex, Suffolk, Norfolk, East Hertfordshire. Call us today on 01206 890222 for free advice on your wastewater solution. All sewage treatment plants are based on the same principle: to create the right environment for aerobic bacteria to be produced. The addition or presence of air creates microorganisms to break down the sewage within various treatment and settlement zones. The effluent quality from most leading manufacturers is 95 % or above clean effluent through the various stages of sewage treatment. Infinity Environmental are installers of all leading brands of package sewage treatment plants to the latest standard EN 12566-part 3. As independent installers we recommend the best product on the market to resolve your off mains drainage problem. Very impressed with your professionalism and ‘can do’ attitude and would happily recommend you. Impressed with the positive approach to resolve a number of difficulties with the site. Installation at extremely short notice and in the most difficult of weather conditions and the site was left immaculate. Very competitive pricing. Standard of work very good. Would strongly recommend for this type of work. Our installation team covers Essex & East Anglia for both repairs and installations. Please call us on 01206 890222 for a free no obligation quotation to resolve any off mains drainage problem you are experiencing. We are independent installers of leading European certified equipment and can recommend the best product for your requirements.